Selected members of the General Directorate, staff and volunteers during the Meeting Regional Secretaries’ Meeting of the General Directorate of the CEBUDV (Brasilia-DF, May / 15). The Beneficent Spiritist Center União do Vegetal has a General Directorate with the mission of managing the Center and the General Headquarters in their material, social, cultural, healthcare and educational aspects. 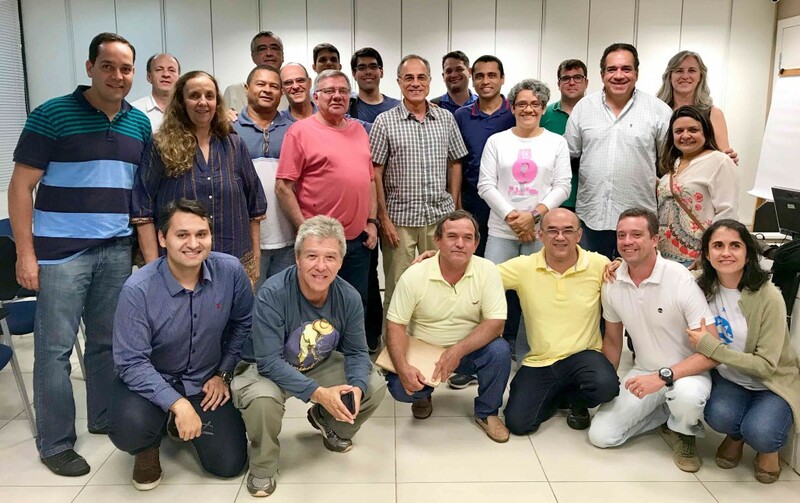 Therefore, there are specific departments and their coordination is the responsibility of the UDV members who are elected or appointed to the positions of the General Directorate, including a President, Tadeo Feijão and five Vice-Presidents. All work is voluntarily and the UDV does not receive any financial resources from private companies or the public sector. Resources for the maintenance of the Center come from the dues and the donations from members. The vice president also has the support of other elected members of the General Directorate (see chart below) and Regional Coordinators (voluntary members who are responsible for ensuring that decisions made by the general directorate are fulfilled in the 19 regions of the União do Vegetal). 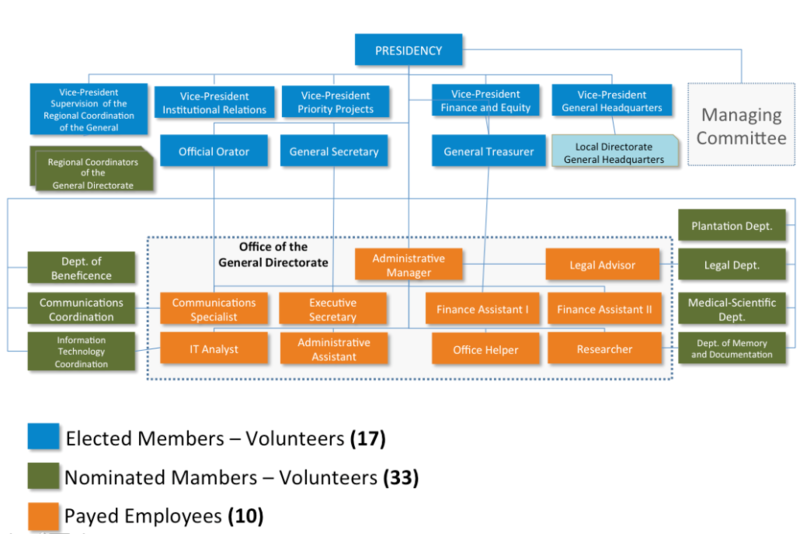 The organizational structure of the General Directorate consists of 17 elected members, 33 appointed members and 10 employees who technically develop specific works in the office of the UDV in Brasilia (DF). They are responsible for assisting the General Directorate with its needs. All office staff are members of the UDV and do not occupy elected positions in the General Directorate.